Some of the less conventional, non diving minnow-type hard lures that I might take bass fishing. 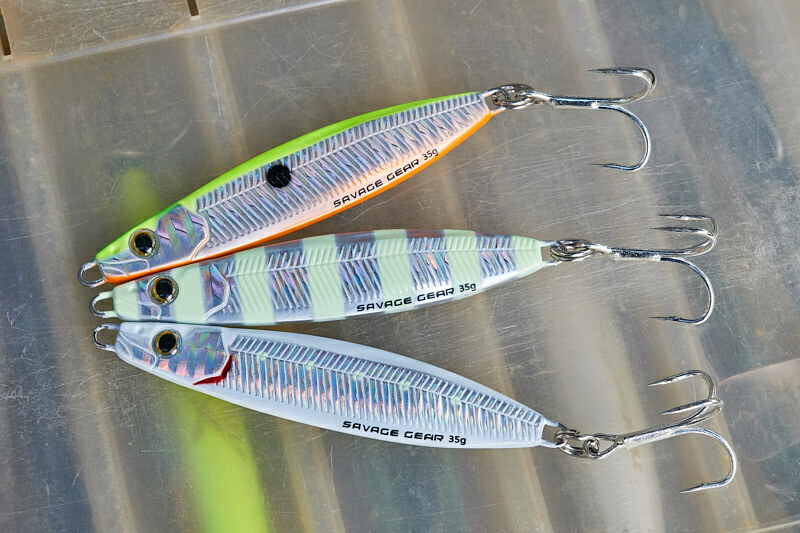 The Savage Gear Line Thru Sandeel is an absolute missile of a lure, and I really like the 19g and 27g versions. Whack them out and wind them in, and they’ll swim just under the surface with a really subtle little wiggle. Have a look at a blog post I wrote about these lures here. 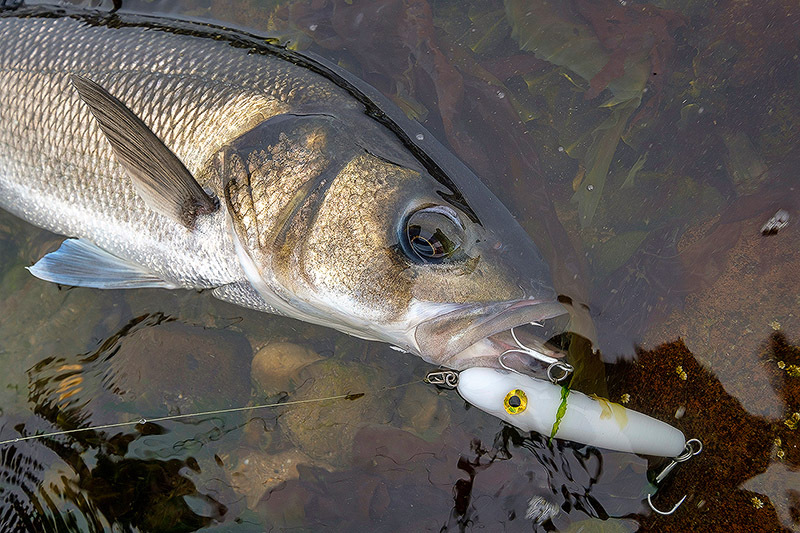 A simple metal lure that absolutely flies, and on nothing more than a straight retrieve it nails bass in the surf especially. I have mainly used the 23g and 28g sizes and they cut into a wind like an arrow. Deadly, but so nice and simple. The proof is in the pudding, check here. These things seriously fly! 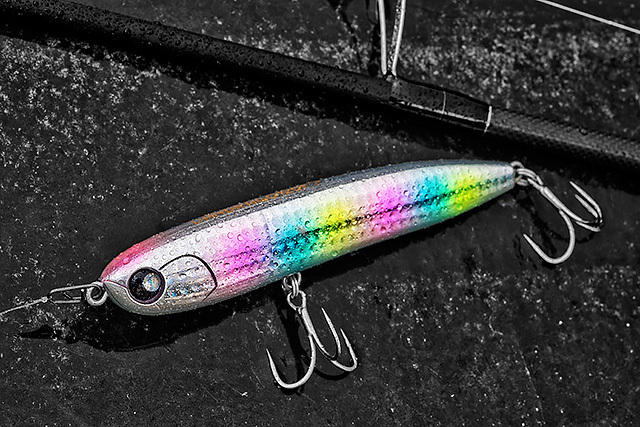 The Savage Gear Psycho Sprat is like a smaller, denser version of their Seeker, and at slower speeds they swim a little deeper due to that density. I really like them. I am finding myself using the 35g size the most. I don’t own a metal lure around this size and weight that gets out there as well as this Hart Delta Force Casting Jig 35g does. Seriously, it’s almost not right how well this lure casts, and it works great if you blast it out into some surf and simply wind it back in. When you catch a good bass on your first ever cast with a new lure it kinda helps - check here. This Samson Lures Enticer Sub Surface Tweak Bait 30g is an interesting lure that can be ripped hard and fished almost like a sub-surface WTD surface lure if that makes sense. I have tried a few of the handmade, wooden Jim’s Lures, and this 18g needlefish version to me is the best mix of castability and weight. You can get these lures in a variety of different colours, and whilst they are not cheap and do not come rigged, they are quality lures that smash bass, and I love how they are made here in the UK for our fish. What’s not to like? Made out of toughened plastic, I like the 190mm/28g and 150mm/21g sizes especially for our bass fishing, the prices are good now that they are available here in the UK, they cast and fish really well, there’s a good range of colours, indeed the only thing I would advise is that you remove the rubbish hooks that come rigged on these US lures and replace them with better quality ones. Gets out there like an arrow and swims nice and shallow with the most gorgeous wiggle/slalom sort of action, this Shimano Exsence Slide Assassin 100S X AR-C (100mm 23g) is going to get some serious water time. A lipless minnow/sinking pencil type of hard lure with a little vane on the top of the head - a little strange looking perhaps, but the very shallow swimming slalom action on this Blue Blue Snecon 130S (130, 23g, sinking) is something else. Casts like a banana though. This Eclipse Landrago 130F (120mm, 23g) casts pretty well if you don’t try to overpower it, and then on the retrieve it dips beneath the surface and rolls so seductively on the way in. 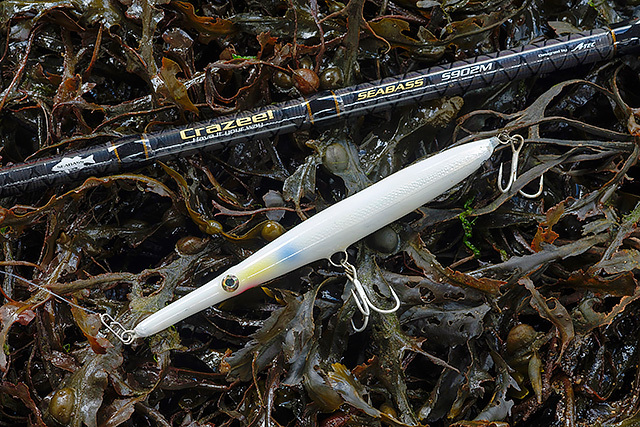 You might well think surface lure when you see this Eclipse Landrago 120F for the first time, but it isn’t. Serious quality. The Hart X3 Pencil (115mm, 26g, sinking) goes out like a missile if you catch it right (dial back the power just a little bit), and whilst it sinks fast if you let it, instead simply straight-retrieve it at a slowish to medium pace and it does its subtle thing just under the surface. Check out some thoughts of mine on these types of hard lures on a blog post here. This Maria Blues Code Slim Type-C (125mm, 21g, sinking) casts really well, and when you start a slow to medium straight retrieve the action is just sublime. So subtle, so lifelike, it kind of reminds me of a larger, longer-casting version of the IMA Calm 110. Crumbs! Check out a blog post of mine here with some thoughts on these types of lures. A really interesting kind of lure. When you first look at this North Craft BMC 120F (120mm, 20g, floating) you might think it’s a surface lure, but whilst it does float and it casts pretty well if you dial back a bit on the power, in fact this lure is a floating lipless minnow. This lure has the most incredibly seductive rolling action when you retrieve it, and you can keep it nice and shallow as well. You can find some North Craft lures here in the UK. This Shimano Exsence COO 100F (100mm, 10g) may only weigh 10g, but it absolutely flies. Cast it out and it floats like many hard lures, but it’s not a surface lure - start your retrieve and it slips just beneath the surface with an action that is lovely and subtle. As much as I use a lot of soft plastics in calmer conditions especially, I reckon this Shimano Exsence COO 100F might do some harm as well. You can find some Shimano Japan lures here in the UK. The bigger brother to the smaller 100F version, this Shimano Exsence COO 130F (130mm 15g) casts like a missile. It swims nice and shallow with a very subtle action, and I've got a hunch that this thing might do some serious harm at night. An obscure US brand of what I think is ABS plastic needlefish lures that for me are the perfect mix of size for our bass, castability (they fly! ), and price. Around £10 here in the UK for the two sizes that I like the most (all details in a blog review here), I just like how they are virtually indestructible and catch bass for me. What more do I want from a needlefish when I am going to do nothing with it save for whacking it out and winding it in at night? Fantastic lures. Super Strike make a bunch of different needlefish over in the US, and their 1oz size Super N Strike one works well for our bass fishing. They cast ok, but not quite as well as their shape and weight suggests, the hooks they come with need to be changed because their gauge is so heavy it’s hard to set them into the mouth of a bass, and you need to be careful not to snag them up if you wind these things too slowly over shallow rough ground. Surely this thing is the perfect replacement for the discontinued Bass Bullet? You can blast this 27g Westin Kongetobis out and work in fairly fast as a splashy kind of surface lure which lads I know can do so well on in some decent surf conditions with that discontinued Bass Bullet, or you can simply wind it in and it’s working as a shallow swimming needlefish type of lure. You can buy these lures in the UK here.